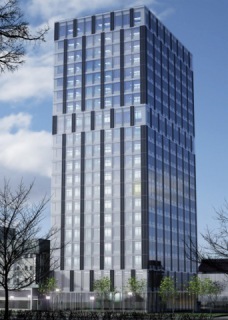 The world's tallest wooden building is currently Waugh Thistleton's Stadthaus, but the nine-story timber structure may have some competition. 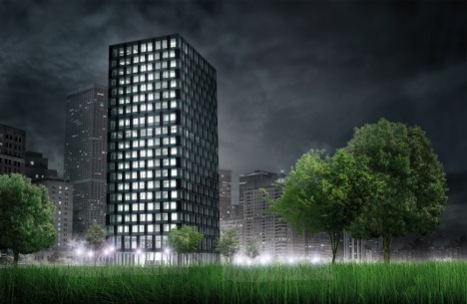 CREE (Creative Renewable Energy and Efficiency) Group plans to build a 30-story mixed-use facility in Dornbirn, Austria with a primary focus on energy efficiency. 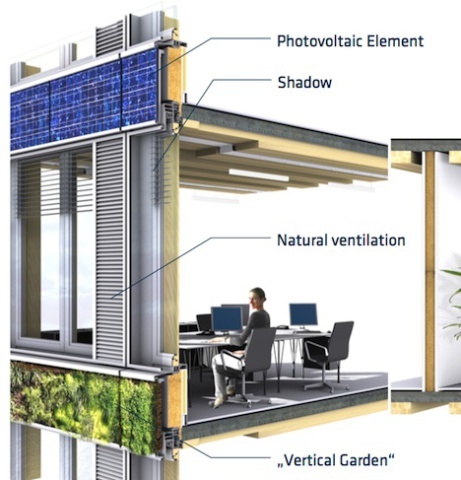 The "LifeCycle Tower" is referred to by CREE as a "hybrid construction system for high-rise buildings which is based predominantly on a renewable, raw material - wood." CREE boasts many green attributes in regards to such "hybrid construction," claiming it will require less than half the time for construction compared to traditional building. CREE also ensures a minimized consumption of resources and optimal use of material. The building is said to have an easy conversion of utilization, so in the future it can be easily transformed to an office site, hotel, apartment building, restaurant, or retail mall if need be. Materials used to build the structure would include reinforced concrete (for the foundation), composite slab (wood/concrete), and timber wood. The floor will be made of a hybrid glulam (glued-laminated) beams and reinforced concrete. The building would include photovoltaic panels on the outer facade to generate electricity along with a "green wall" (aka "vertical garden"). The building will further protect the environment and public health through use of local resources, reduced routes of transport, use of sustainable materials, and significantly improved CO2 balance. Highly pre-fabricated construction will further reduce air pollution as well as construction site waste. 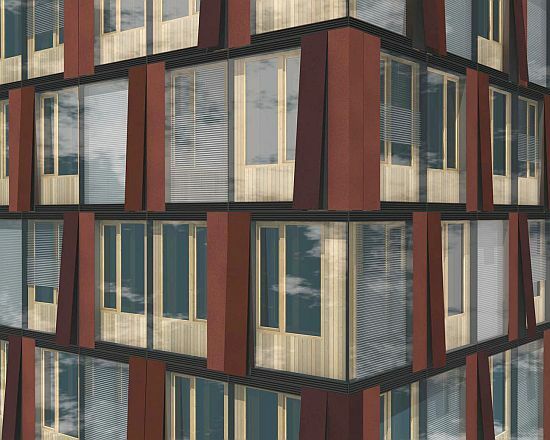 In accordance with Passivhaus standards, construction of the LifeCylce Tower will reduce carbon emissions by 90% when compared to conventional construction. Why wood, you ask? CREE contends that most traditional resources require more material than their actual weight suggests due to excavation, transportation, and processing. According to Professor Friedrich Schmidt-Bleek, chemist and environmental researcher, every material has its own "ecological rucksack." For example, 8 kg of rock and fossil fuel are removed from the planet to produce only 1 kg of steel, and those numbers are even more striking for aluminum and copper. Thus, using wood is a plausible alternative when we consider that no other material can compare to wood's high regard for energy saving. Both strong and light-weight, it's a naturally renewable, raw material that can guarantee optimum heat insulation as well as noise and vibration reduction capabilities. Wood meets the latest safety requirements despite its being one of the earliest building materials known to man. Perhaps someday wood skyscrapers will huff and puff and blow traditional towers down!